As you guys know, I’ve made the swap to cleaner beauty and I am LOVING it so far. 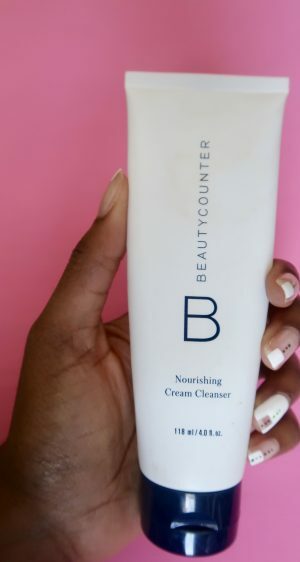 I joined BeautyCounter as an independent consultant in January and I’ve been cleaning up my beauty regimen ever since. I wanted to share with you guys some of my favorite products from the past few months and why! The clean beauty space can be overwhelming at times because you want to make sure you’re purchasing the right products for your needs! 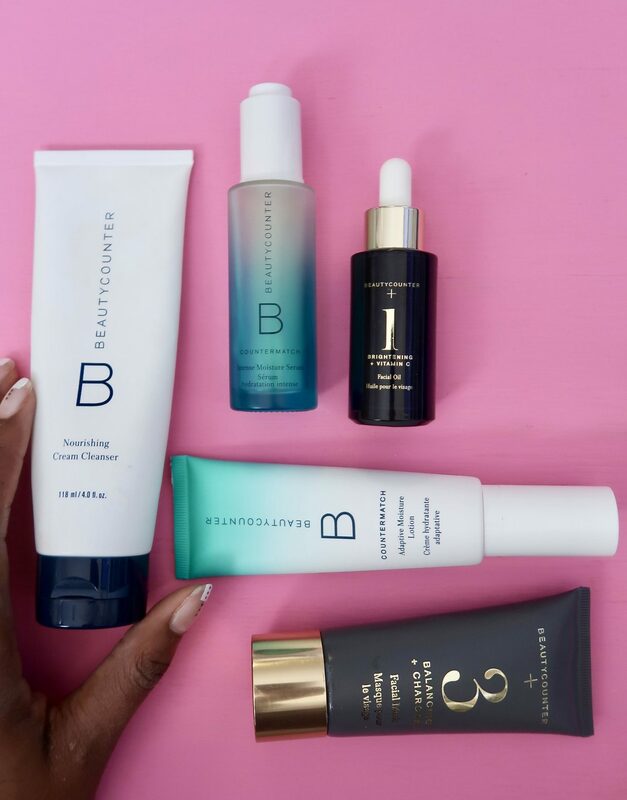 Well, fear not, BeautyCounter makes it super simple with our personalized skincare quiz to match you up with the perfect regimen! 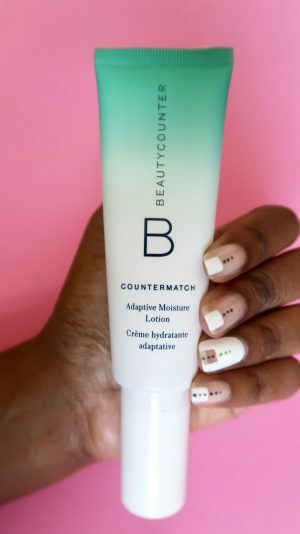 Thank you so much for clicking to read this post and I hope you enjoy the information below on my BeautyCounter fav’s. I love this lotion for so many reasons but the number one reason is because it gives my skin an immediate boost of hydration! I can see the product at work immediately. It’s a 5 star best seller for a reason! People just love this stuff. Best of all this lotion will last 24 hours, no need for re-application, it provides a natural and radiant glow all day long. 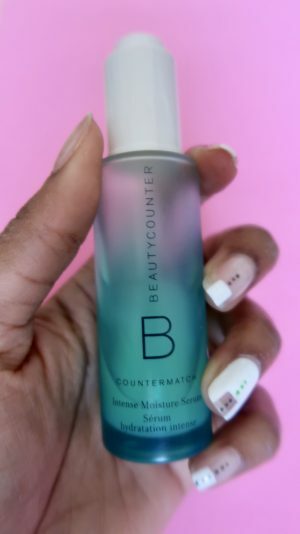 Next up is the Countermatch intense moisture serum. The first question I get when I share that I love a serum is “why do I need a serum?” Most people don’t know that a serum is absolutely needed in your skin care routine. I look at a serum as a more intense form of a moisturizer. Think of it as locking in the hydration of a moisturizer. Skin will look brighter and healthier with consistent use! I LOVE this stuff and use it twice a day, everyday. I introduce to you the creamiest daily cream face wash on the planet. This stuff is goooood you guys! It’s so rare to find a cleanser that will not strip your skin of the natural nutrients. This cleanser won’t give you a dry finish but instead a soft, hydrated finish. It’s infused with aloe, witch hazel and coconut oil to hydrate the skin. 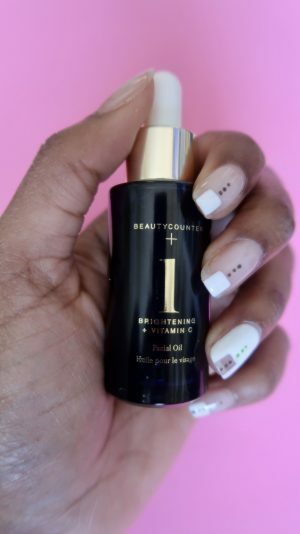 After I cleanse and moisturize my skin I like to go in with this brightening oil. It’s a fantastic citrus-infused facial oil that will absorb quickly into the skin to quickly awaken and replenish skin. I use this day and night and sometimes mix it with my foundation for a natural glow. I love a product that has multiple uses. This was one of the first BeautyCounter products I ever used. I love a good mask but THIS mask is just a step above the rest. This nutrient rich clay mask does not rip off your skin or dry you out but instead it gives your pores a deep, gentle cleanse by absorbing excess oil and minimizing the appearance of pores. I love that you can actually see the product working as it dries on your skin. This is a 10 minute spa treatment at home. If there’s one thing you need to get started with the clean beauty routine, this is it. I hope this run down of my favorite clean beauty products will inspire you to take a look at less toxic beauty products because we all deserve cleaner beauty. And questions on what I shared please drop the below in the comments section. What product would you switch to clean beauty? 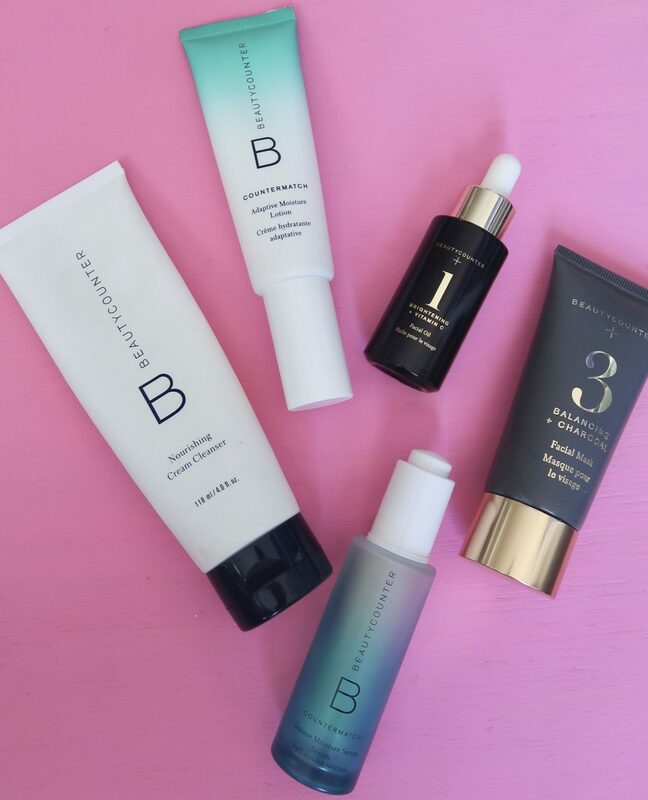 Drop a comment & enter for a chance to win a FREE BeautyCounter lipgloss! Looking forward to hearing from you soon! Good luck! P.S. 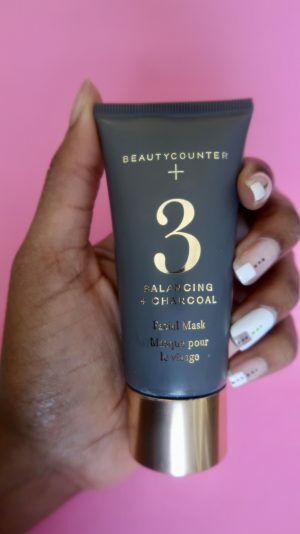 Check out my BeautyCounter why here. Thanks so much for the comment, Lisa! I appreciate your support & I hope you’re enjoying your Beautycounter products so far! !